Sui Dhaaga First Weekend Box Office Collection. Excellent Growth on Sunday. 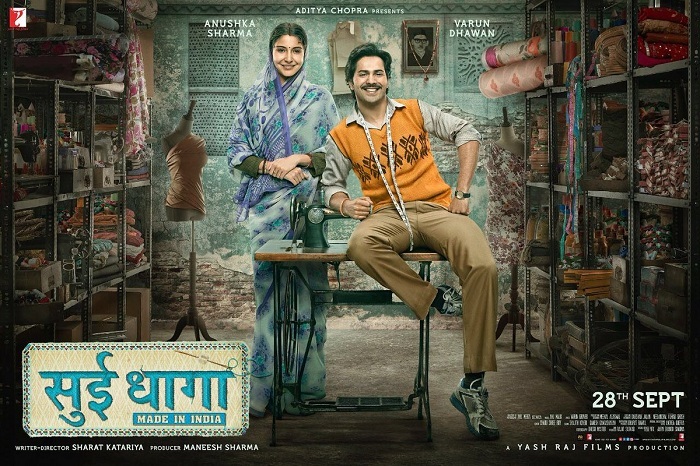 Sui Dhaaga has shown excellent growth on Sunday (3rd day) at box office. Jump was around 30% from Saturday. This is big considering Saturday registered a big growth of 45-50%. Film has thus collected very well in opening weekend despite a slow start to the campaign on Friday. Sui Dhaaga has collected an approx 16.05 crore nett on Sunday. Business is nearly the double of Friday. Film total collection at the end of first weekend is approx 36.6 crore nett mark. Plus there is Tuesday holiday on occasion of Gandhi Jayanti. We can expect good business on day 5 also. Sui Dhaaga should touch or cross 50 crore nett mark by the end of Tuesday. Wednesday will show the real trend of the film. Right now, it is looking like film will emerge as a success by the end of first week. Business from 2nd Friday will determine whether it will be a Clean HIT, Super HIT or Blockbuster! Total -> 36.6 crore nett (approx).